Hair loss is a common side effect of cancer treatments, such as radiotherapy and chemotherapy. While a common side effect, there are different ways of coping with the hair loss. 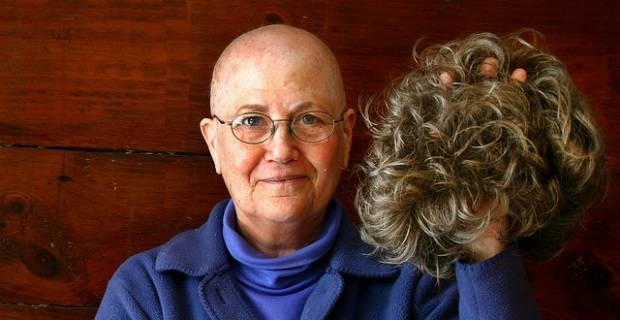 One of the most practical ways of coping with the loss of hair from cancer treatment is to wear a wig or hairpiece. Here are some of the readily available chemotherapy wigs options in the UK. National Health Service (NHS) offers chemotherapy wigs UK free for people in Wales and Scotland. The Health Service also offers free wigs for people in Northern Ireland. Wigs generally come in many different styles and colours to suit different tastes. They can be made of human or synthetic hair (acrylic). If you have had or are having cancer treatment, you are entitled to a free acrylic wig or partial help towards the cost of the wig from NHS. NHS does not usually provide human hair wigs unless you are allergic to acrylic or have some other kind of skin condition that is aggravated by acrylic. Visit a hospital or jobcentre near you to apply for a free NHS wig, or partial help towards the cost of one of the chemotherapy wigs UK. You will be required to fill a HC1 form to apply. Alternatively, call the Health Cost advice line on 0845 850 1166 to request the HC1 form. NHS will assess your HC1 application form will and you will either be sent an HC2 full help certificate or HC3 partial help certificate, depending on your income. Human hair wigs look more natural and last longer than synthetic wigs. It is not surprising, therefore, that the wigs are pricy. European hair wigs, fore example, can cost anywhere from £200 to £2000 for a single top tier, custom-made wig. Other hair types are equally pricy, including Asian hair that is often bleached and dyed to European colours. Human hair wigs are not usually available on the NHS. However, the wigs are readily available at leading wig suppliers or department stores across the country. You can also find them at online stores, such as naturalimagewigs.co.uk . Specialist wig stores and wig manufacturers are also a good place to find real hair wigs, especially if you are having trouble finding a suitable one because you are black or from another ethnic minority. Synthetic hair chemotherapy wigs UK are the perfect option if don’t want to deal with the hassle of having to regularly clean, set, blow-dry or style your hair. The wigs are easier to maintain and also cheaper to buy than real hair wigs, costing anywhere from £50 to £200. You can buy synthetic hair wigs from leading wig suppliers or stores both online and offline. Remember wigs bought for hair loss due to cancer treatment are exempt from VAT (Value Added Tax). Ask the store attendant for the VAT form and fill it accurately when you are buying your wig. You may be able to claim the VAT back at a later date with the VAT form. Find out more about free NHS wigs and cancer treatment supports on the NHS website at: www.nhs.uk/nhsengland/healthcosts/pages/wigsandfabricsupports.aspx.